It is the most grueling week of my year. I am happy and thankful if I can get six hours sleep. It begins a little after six with a run with some of those attending the conference. Morning Prayer begins at seven-thirty. Mass is at eight followed by senior staff breakfast and meeting. From ten until one we have three fifty-minute classes. Most years we only teach two, but some years, three classes. Then there is lunch and a counselor staff meeting. From two to five, most priests spend their time hearing confessions, in spiritual direction or just plain conversation with conferees. At five, there is Evensong and a faculty talk. Most of the priests give a talk one time during the week. We then have dinner followed by discussion groups. From eight until ten there are group activities and free time. Again, this is a time when our priests hear confessions and provide spiritual guidance. At ten fifteen we have Compline. From eleven thirty until one or so we assist the counselors with hall duty. A long day, but every priest there says it is the best week of his year. No, this is not another article about a St. Michael’s conference. What I am talking about is your priest and how you use him. What is it you want from him and expect him to do? Keep your ears open at any coffee hour. If there are six parishioners chatting, there will be at least six different views as to what the priest ought to be doing. Is he to be a CEO, social worker, or cruise director? Certainly, this is a regular occurrence, but, as is true of any relationship, the parameters and expectations of the pastor are present from the beginning. 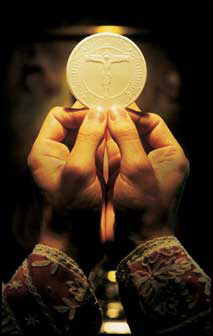 I tell young priests that they need to pay attention to the first invitation they are given in any new ministry. Many years ago I spent five very unhappy years in a parish. My first week there I was invited to the Elks club for a special event. My family attended this and found it wasn’t for us. I never joined that town’s Elks club. Nearly, five years later, during a parish meeting, I was informed of my failing as their priest. I wasn’t active in the community. My greatest failing, according to them, was that I never attended a single football game. I later remembered that when I was interviewed for the position, the senior warden’s wife told me how much he liked going to the local High School football games and how much she liked to watch the cheerleaders at half time. The police and fire department would wait at the city limit for the school buses returning from an away game. A long “religious” procession would make its way to this high school. It did not matter that I was president of a board of a five county alcoholism agency, or that I would give the homily at a local parochial school when the priest was away. But this wasn’t their idea of community involvement. What was the first invitation you offered your priest when he arrived? What did it say about you and the other members of your parish? One of the glories of the St. Michael’s Conference is that it is so thoroughly Benedictine and, therefore, so thoroughly Anglican. There is a balance to the day. There is work, prayer, study and recreation. You rise in the morning with prayer and go to bed at night after prayer. You study the scripture, the worship and the teaching of the church. You discuss the inward and upward journey of the soul. You seek to be shriven from your sins. There is an emphasis upon growing – spiritually, emotionally, intellectually and, yes, even physically. Parents tell us and write to us about the visible change they see in their children after a week at St. Mikes. Isn’t this the way a parish is supposed to be? Isn’t this what every priest wants to see at his parish? The St. Michael’s conference is so important to her priests for no other reason than that, there, they can truly be a priest. It is as simple as that. Fr. Geromel is Rector of St. Bartholomew’s Anglican Church, Swartz Creek, Michigan.